Aspects of Healing offers a full suite of Massage services from qualified and accredited Massage Therapists. Health rebates may apply. By holistically treating the whole body, the massage traces discomfort back to the original cause. Sports massage enhances peak sporting performance by draining away fatigue, reducing muscle tension, promoting flexibility and preventing injuries. This gentle and rhythmic massage sequence works on the lymphatic system to facilitate the removal of toxins and boost the circulation. This treatment acts favourably against cellulite, fluid retention and a sluggish immune system. This is a gentle lower back massage to relax and ease the muscles during pregnancy after the first trimester. Abhyanga is the traditional Ayurvedic therapeutic massage using medicated oils. Rhythmical strokes help to improve energy, lymphatic flow, blood circulation, skin texture, and restores equanimity to the body. Ayurvedic Marma Massage focuses on the energy points using special oils and massage techniques, which helps release blocked energy. Indian Head Massage helps neck and shoulder problems, and deeply relaxes the face muscles making one look and feel healthier and happier. Surrender, release and relax. Your energy is balanced and recharged and your body and spirit are soothed and nurtured with the power of touch and sense evoking aromatherapy oils. Healing, grounding stones warm your being and melt away muscle tension, cold stones drain fluid retention, reduce lactic acid and inflammation, they also help to balance energy and ground. 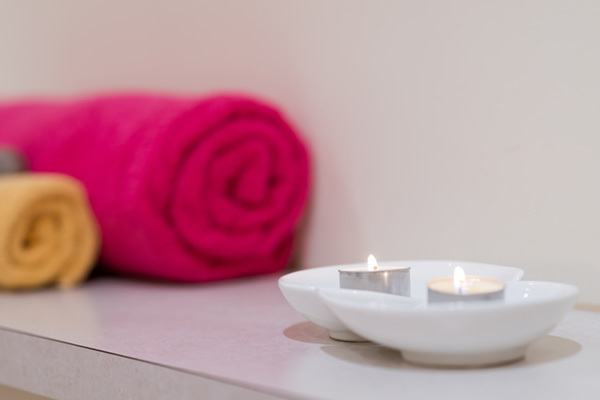 A beautiful treatment for cold months and anytime you need extra relaxation. For sore bodies with extra tension, targeted remedial and deep tissue techniques are applied to assist your body into a more comfortable state and to assist with sports injuries. Diagnosis and treatment are based on a holistic view of the patient and the patient’s symptoms, expressed in terms of the balance of yin and yang. Practitioners of Chinese traditional medicine seek to control the levels of yin and yang through 12 meridians, which bring energy to the body. Traditional Chinese Medicine (TCM) encompasses a range of practices, including acupuncture. Chinese medicine, particularly acupuncture, is the most widely used traditional medicine. It is practiced in every region of the world. Different herbs have different properties and can balance particular parts of the body. Single herb or concoction of herbs is used, depending on the state of the patient’s Yin and Yang, and the elements that are governing the affected organs. Cupping is an ancient Chinese therapeutic method of localized healing. It produces congestion by a partial vacuum, created in cups placed on the skin. Bowen Therapy is a dynamic remedial body technique that activates the body’s innate healing ability. A treatment offers quick and lasting relief from pain and discomfort and a return to balance and harmony of the body. Reiki is a healing technique transmitted by energy through the gentle placing of hands on specific positions, either on or above the body. The technique can be used for specific healing or general relaxation. this is the therapeutic application of aromatic botanical oils with distinctive psychological and physiological properties to restore balance to the body, mind and spirit. Signature Experience. Be truly immersed in a sacred journey using a variety of the most effective massage and transporting techniques and therapies learnt from many great teachers and places. Your body mind and spirit will be taken deep within the healing temple. Using a combination of Ayurvedic, Hawaiian, Thai/Chinese and Sacred Stone Massage with Sound, Crystal-Essence, aromatherapy and Energy Healing. Energetic healing and balancing using Master Reiki, Universal healing and channelled divine energies. Float through a journey of sound, touch, truly heavenly scent and healing. Using profound, alchemical aura mists, toning, hands on healing and energetic techniques, your energy is cleared, brought back to alignment and re-charged. Ayurveda is a lifestyle that teaches us how to maintain health and improve both our energy and our awareness and how to live to our full human and spiritual potential. It shows us not only how to eliminate disease but how to promote longevity so that we can realise our purpose in life, which is not just gaining material happiness but achieving profound spiritual realisation. For more information on Ayurveda, see Our Modalities. Ayurvedic Spiritual Counselling focuses on finding and expressing one’s spirit. As spiritual counselling unfolds the individual achieves greater peace and harmony and improvements in their well-being. Nasya therapy involves the administration of medicated oils into the nose to stimulate expulsion of blockages. Beneficial for those seeking relief with respiratory allergies. Nasya cleanses and clears the head’s channels enabling improved mental, sensory and motor functions. Shirodhara is the continuous flow of warm herbal oil onto the “third eye”. It works on the cerebral system and is beneficial for the nervous system and stress related disorders. Abhyanga massage is the traditional Ayurvedic therapeutic massage using medicated oils. Rhythmical strokes help to improve energy, lymphatic flow, blood circulation, skin texture and restores equanimity to the body. Akshitarpana is a unique Ayurvedic procedure that involves the application of ghee to the eyes. This procedure increases the life of the eye, protecting the eye from the ageing process and also improves eyesight. A unique sauna (with head exposed) using traditional Ayurvedic herbal steam, Bashpa Swedana alleviates heaviness and congestion of toxic build up in your body. Employing purification process in our body reduces stiffness, improves the flexibility of the body parts and increases digestion. A steam bath treatment corrects the imbalances of Vata Dosha. The procedure is more effective in conjunction with oil massaging treatment. Focusing on the lower back and spinal nerves, Kati Basti corrects postural imbalances and alleviates tension caused from sitting for prolonged periods. Heated herbal oil is applied on the sacral or lumbar region, low back region. The procedure sudation is beneficial in relieving pain; in addition to this the herbal oil is absorbed from the skin and has an unique therapeutic effect. Herbal oil or herbal powder is applied on the whole body and massaged in the opposite direction to the body hair orientation. The massage opens circulatory channels, facilitates the metabolic activity and improves complexion.The massage alleviates vitiation of Kapha Dosha, reduces excess fat in the body, corrects the imbalances of Vata Dosha and eliminates body odour. For more details, see Our Modalities. The purpose of the 7 day program is to assist the removal of toxins that have remained in the system for long periods of time. The focus is on drawing excess Doshas out of the tissues and into the digestive tract so that they can be eliminated. These toxins are like grease, the longer it remains in a place, the harder it becomes. The detox program works on the system to remove these excess Doshas and toxins. Allow yourself to be pampered using traditional elements of the ancient Vedic teachings, fused with modern, scientifically proven actives to rejuvenate, beautify and balance. Re-emerge radiant, beautiful and peaceful, in the moment, at oneness. Rejuvenate and beautify with this fully immersive, active Ayurvedic/Cosmeceutical, tailored spa facial with complete attention to detail. Includes Aura/space clearing, double cleanse, exfoliation, toner, serum, massage, masque, chakra balance, sacred head or arms-hand massage, moisturiser and grounding. The pinnacle for skin transformation. See and feel the results of this intensive and complete facial experience. Skin surface is refined and softened with Microdermabrasion and a natural medi-peel. Plant actives and peptides are infused with ultrasonic technology and all the elements of this spa facial bring improvements for ageing, dehydration, pigmentation, sun-damage, thin skin, acne and most skin conditions. Face, Neck and Décolletage included. Includes everything in the Radiant Facial: Aura/space clearing, double cleanse, exfoliation, toner, serum, massage, masque, chakra balance, sacred head or arms-hand massage, intention mist, moisturiser and grounding. *Monthly treatments are recommended to achieve long term results – packages available. For skin that needs a thorough pep up on limited time. This perfect mini treatment will give you a glow. It is also the perfect in between treatment and maintenance for Advance Aesthetic Facials. All the essentials of the full facial, condensed! Sun damage, inflammation, acne, wrinkles, dehydration and pigmentation can all be addressed with one or more of our natural, cosmeceutical intensives.To see significant results our Skin Genesis Program is recommended to truly target your concern and elicit a deep healing response that will give you beautiful skin, gently. – Diamond Microdermabrasion: Technology using gentle, electronically aided exfoliation renews, invigorates skin, revealing glowing beauty. – Ultrasonic Infusion: Safe and complementary ultrasonic frequency activates cells and allows for transportation of actives deep into the dermis. Results are enhanced and maximised! – Parinati Passion Flower AHA/PHA Peel: Our trademark, go-to for all skin types and concerns including sensitive/reactive skin. Lactic + Gluconic Acids for renewal and hydration complemented by potent antioxidants and actives including Lycopene, Calendula, Cranberry and Bilberry. Refines, hydrates, improve texture and reduces sun damage, pigmentation, assists acne, softens lines & wrinkles. – Level 2 Peel: For wrinkles, pigmentation, sun damage. This peel reaches further into the epidermis for deeper healing and rejuvenation. The next step in your treatment journey – turn back time and glow. – Level 3 Peel: For clients with skin that is pre-prepped for a more intensive treatment. A deep, clinical strength peel for significant, lasting results. *Some contraindications apply. A professional analysis is required for all new clients and the best, most effective treatment will be advised. Also, a commitment to sun protection is vital. Over time we can acquire skin damage from sun, stress and lifestyle but, luckily with much less time and some dedication we can turn back the clock and see fabulous results for uneven skin tone, wrinkles, sun damage, pigmentation, acne and problematic skins. Skin regenerates itself every 28 days. We boost this process by doing an intensive program, so we can reach a deeper and more notable healing response resulting in plumper, clearer, firmer, more even and hydrated skin. To get the best results, over a 3-4mth period, we would book 6 sessions, so we get a full 3 regeneration cycles to reveal a glowing new complexion. These sessions include a mixture of preparation, deep treatment, cosmetic acupuncture (if prescribed) and home maintenance. At least 40% of your results come from the ongoing treatment you administer at home with proven effective, natural products. We live by a simple philosophy where a few, tailored products that work are key. Invigorate sluggish skin and stimulate lymphatic system with this energising and radiance boosting scrub. Finish with a luxurious body crème. This is perfect before a massage. *Other services including, Hand and Feet Treatments available on request. Reservations: Advance reservations are recommended as appointments are subject to availability. Cancellation Policy: 24-hour cancellation notice is kindly requested to help us reschedule your appointment. Cancellation within 6 hours of treatment time will incur a 50% fee. 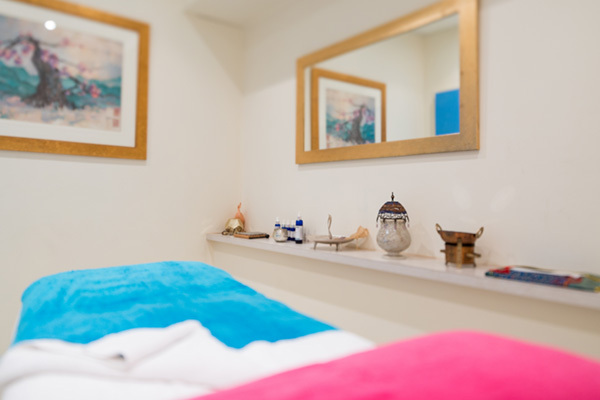 Check in: Please arrive 15 minutes before your treatment time to begin your relaxation and for consultation. Late arrivals may be subject to reduced treatment time. Amenities: Robes and slippers are provided. Shower and bathroom facilities on site. Refreshments: We welcome you to enjoy a wide range of herbal and organic teas. Tranquility Policies: Please switch off your mobile phone to fully enjoy a peaceful and tranquil environment. Valuables: We request no jewellery to be worn during your visit for a massage. Aspects of Healing acceptno responsibility for the safety of money and valuables of any kind brought to the Centre. Pregnancy: We advise only facial treatments within the first three months of pregnancy. After three months, a pregnancy massage can be scheduled. Please note that aromatherapy oils are not advised. Health Conditions: Please advise us of any special health conditions on scheduling your appointment as this may effect your selected treatment(s). Should you experience high/low blood pressure, heart conditions, allergies or any health conditions, we advise you to consult your doctor before your treatment and present us with a doctor’s note of approval. Gift Certificates: Our therapists and receptionists can assist you in selecting creative gifts, products and packages from the large variety of services and treatments we provide. Gift Certificates are available from reception. Certificates are valid for 6 months and are not redeemable for cash. Location: Aspects of Healing is easy to find. 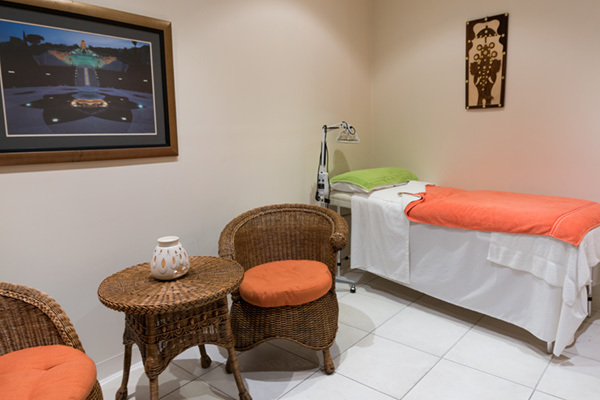 Located between Currie Street and Hindley Street, Aspects of Healing is within a 5-minute walk from the Adelaide Railway Station and just around the corner from the Bus Stop. Parking: There are car parks in both Hindley Street and Currie Street. Opening Hours: The centre is open Monday to Friday from 10am – 7pm. Mobile Phones: We ask that you respect the peace and tranquility of the centre and ensure that mobile phones, PDA’s and pagers are switched off before entering the premises. Flowers: We can arrange for an exotic flower arrangement to be delivered to your special someone on their visit to our centre as part of their relaxation treatment. Relax: Do not feel obliged to make polite conversation – close your eyes, relax and allow yourself to be transported to another world.